According to reports late on Monday evening, Bolt is set to sign with the Central Coast Mariners to undertake a six-week trial. If the trial is successful, Bolt could link a long-term deal with the Mariners. Bolt, who won three consecutive gold medals in the 100 metre sprint at the Summer Olympics and still holds the world record in the event, has publicly stated that his post-sprinting dream was to play in the English Premier League for Manchester United. Bolt has also previously suggested he would like to play professional level basketball and cricket, with the Australian Big Bash League spoken of as one of his preferred destination. This is not the first time Bolt has experienced top-level football. Earlier in 2018 Bolt trained with German Bundesliga side Borussia Dortmund. While he scored an early goal in training, Bolt’s presence was more seen as a cross-promotion by German shoe manufacturer Puma – who sponsor Bolt and Dortmund. 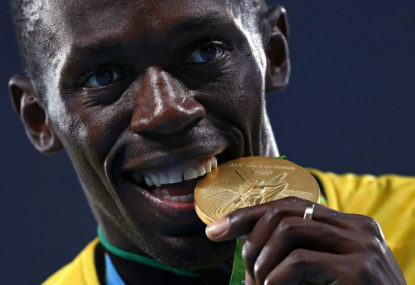 This time around, Bolt appears to have set his sights on making the grade. It remains to be seen whether Bolt’s dreams will translate into reality, but his presence is sure to bring some recognition to the Mariners who finished the past season in last place and are currently enduring significant financial troubles. The Mariners first match of the 2018-19 season is up against the Brisbane Roar at Suncorp Stadium.